Fall is here and that means it's time to check out local farms with the kids. The air is crisp, apple cider is flowing, and pumpkins & apples are waiting to be picked. Here at Secor Farms, hop aboard a hayride and take a farm tour where you will see a pond, willow trees, pumpkin patch, corn maze, apples, plenty of Fall treats and decorations. Visit animals at the petting zoo. Take memorable photos of “How Tall This Fall” and face cut outs scattered around the farm. Younger children will have fun working their way through the hay maze and playing with toy tractors in the corn box. Celebrate Fall with a Hay Ride to the Synder's Farm festival site. Featuring pumpkin picking, pumpkin moon bounce, corn maze, hay bale maze, potato sack slide, pedal karts, pony rides, food, music, and much more. Pick your own apple season at Riamede begins the first week of September. We have 34 varieties of apples ranging from classics to heirloom specialties to modern favorites. Among them: Golden Delicious, Empire, Fuji, Gala, Macintosh and more! Our select dwarf trees allow even the littlest kids to reach out and pick an apple. Take a hayride through the orchard and out to the pumpkin patch. Also try your hand at picking cherry tomatoes. At Wightman's Farm, we offer hayrides, pumpkin slingshot, pick your own apples, and a hay maze. 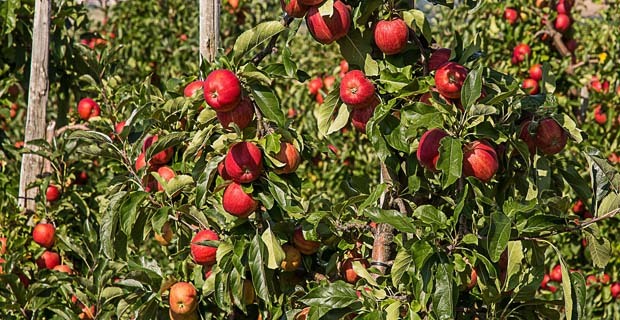 Three packages offered: Apple Picking, The Farm Sampler, and the Ultimate Farm Experience! Stop by our market for local produce and treats. Pumpkin Picking, Haunted Hayrides to a Haunted Greenhouse, Corn Mazes, House of Horror, Cowboy Shows, Petting Zoo, Face Painting, Wild West Show and much more! U pick pumpkins. Barn store. Hayrides, haunted and regular. Snack shack. 100+ pound giant pumpkin, slingshot game, farm animals, and corn maze. Apple Fest event will feature antique cars on display, fun games, local vendors offering product samplings, prizes, live music, and of course plenty of apple options. Weekend hayrides, fall family friendly activities include The Tower Slide, hayrides, pumpkin picking, corn maze, rope maze, farm animals. September 16, 2018, 12-5PM 73 Kahdena Rd, Morris Township, NJ, 973-326-7645 Country fair with wagon-rides for scenic tour of the farm, watch blacksmith demos, learn to churn butter, see farm animals, and participate in various hands-on farm activities. Live music, food, and dance. Great pumpkin festival is the largest Fall Festival in Northern New Jersey. Admission includes over 30 activities: hay maze, hay crawl, monster sling shots, farm animals, corn maze adventure, obstacle course and more! Don’t forget to pick your own pumpkin. Go back in time and experience an old-fashioned country fair. Featuring fun wagon rides, games, live entertainment, pie eating contests, and craft demonstrations. All activities, including Hayrides to the farm & pumpkin patch, u-pick pumpkins from the patch, our 5 acre corn maze and more, will be open every weekend throughout September. New 10-acre corn maze created every year. Theme for 2018 is “Age of Edison” which celebrates the life of Thomas Edison. Other activities: barnyard board games, rope maze, tile maze, gemstone mining, and Noah’s Ark playground. U-pick apples and pumpkins available on weekends. Pick-your-own pumpkins & apples, hayrides, large interactive corn maze, and lots of fun family activities. Come hungry and have lunch from one of our food vendors or munch our ‘farm fresh’ goodies.